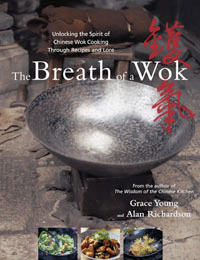 Our #GiveawayBreath contest to celebrate the start of Wok Wednesdays shifting to “The Breath of a Wok” ended September 5th. 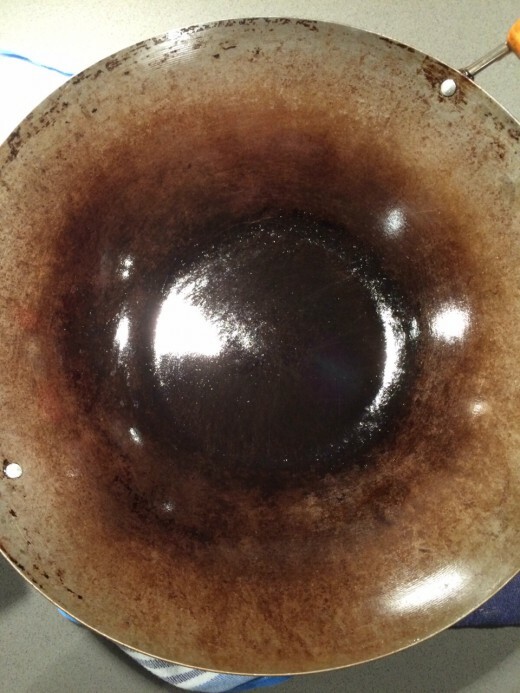 To enter the contest you had to answer the following question: “Why do I love my wok?” We received over 50 submissions. The quality of the entries was impressive with numerous members that deserved to win. It was so difficult to choose 2 winners. In the end I selected 9 finalists and picked the 2 winning names randomly. 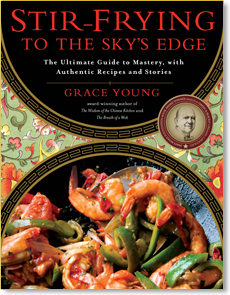 I’m sorry I only have 2 autographed copies of “The Breath of a Wok” to giveaway. The winners are: Charleen Chu and Karen Himmer Vanarsdel! David Jabon, Peng Olaguera, Irene Hensley Seales, Diane Whatley Nix, Richard Berlin, Mark Conley, and Susan Letterer deserve honorable mentions. Karen Himmer Vanarsdel’s wok love began at the age of 16. “Why do I love my wok? Wow, now that is a big question. I grew up in a small town in Southern Illinois. I’d never been to a Chinese restaurant. My only experience with Asian food of any kind was the ChunKing Chow Mein kit you bought at the grocery store. It was a large can of veggies – celery, onions, and bean sprouts – with a smaller can taped to the top of it that contained a gooey brown gravy with bits of beef in it. My mom would only buy it for special occasions because for us it was expensive. We would mix up the two cans in our iron skillet and Mom would make Minute Rice. If it was an especially auspicious occasion, like my birthday, she would also buy a can of crunchy chow mein noodles. For me, it was pure heaven. 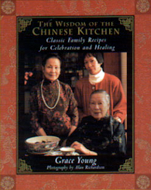 My parents knew how much I loved the chow mein dinners so for my 16th birthday, they bought me a wok kit and a copy of “The Easy Way to Chinese Cooking” by Beverly Lee. (We have discussed this little treasure of a book in the past.) I was thrilled!!! It even came with an electric hotplate so that I could wow my guests and stir-fry at the table. Of course, I had no earthly idea what I was doing and in my little town Chinese ingredients were nearly nonexistent. I could get LaChoy soy sauce, canned water chestnuts, and bamboo shoots. That was about it. So when a recipe called for something I didn’t have, I did the best I could to substitute it or just left it out completely. I started having Chinese dinner parties for all of my friends and family. They were amazed as well because none of them had ever been to a Chinese restaurant either. When I went to college my wok went with me and I continued with my dinner parties. My parties became well-known and even faculty members asked for invites. Now, keep in mind, up to this point I had never eaten at a Chinese restaurant nor had I ever even met a Chinese person!!! After college I accepted a teaching position in Houston. I finally got to eat “real” Chinese food at a Chinese restaurant. I couldn’t get enough. I even bought a house in the subdivision behind my favorite restaurant so I could pick up food every day on my way home from work. Fast forward to 2006 (bypass the ex-husband that didn’t like Asian food – that’s why he’s the EX among other things.) I reconnected with an old college boyfriend who loves to travel. One of the first places we went was Thailand. I enrolled in a cooking school there and thus restarted my passion for Asian food. (And the boyfriend who is now my husband!) After that I studied in Vietnam, Burma, and China. Six years ago I became a culinary instructor at Whole Foods. Every day I go to a job that I love. I have to pinch myself now and then that they actually pay me to do this! And it all started with that wok on my 16th birthday. So I owe a great deal to the wok. It has brought me so much joy and happiness over the years. It has this indescribable pull on my life and holds a special place in my heart. 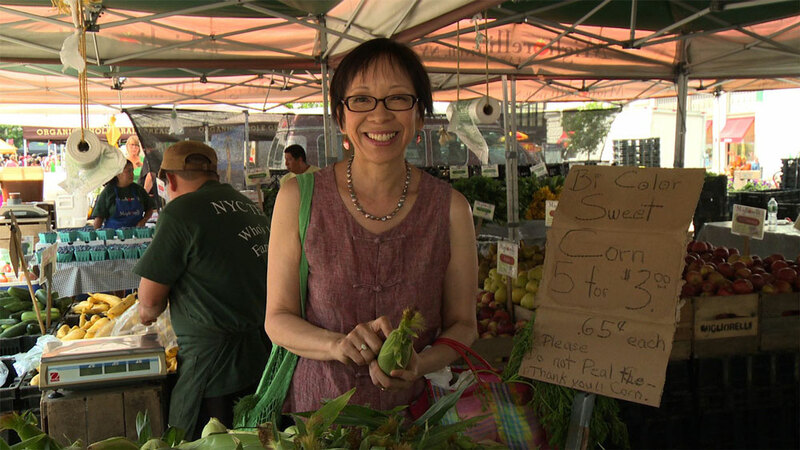 And Charleen Chu’s respect and love for the wok began reluctantly. Congratulations to Karen and Charleen! Thank you to everyone who entered. The next giveaway will be announced tomorrow.